Just yesterday, we told you about Bill Gates and Tim Cook taking part in the Ice Bucket Challenge and dousing themselves in a bucket of ice cold water in the name of charity. A mere 24 hours later, ex-Microsoft CEO, Steve Ballmer, takes the plunge, joining a number of other tech executives in the Ice Bucket Challenge list. The ex-Microsoft CEO took to his Twitter account (which he rather sparsely uses) to showcase his own version of the Ice Bucket Challenge, alongside his new SteveBClippers YouTube channel. This was probably Ballmer’s way of showing off his $2 billion recent purchase of the LA Clippers, so that’s two birds killed with one stone. The Ice Bucket Challenge basically urges wealthy executives the world over to either dump a bucket of ice cold water on themselves (in public view one way or the other) or donate some amount (usually a handsome sum) to a charity focused on the Lou Gehrig’s disease. The case, however, has been that a number of executives have taken the challenge with dousing themselves in the said water alongside making the donation. The rules of the competition also state that a person taking the challenge will have to be nominated by someone who’s previously taken the challenge, and, in turn, would nominate future people for the task. The person being nominated has to then take the challenge within the next 24 hours. 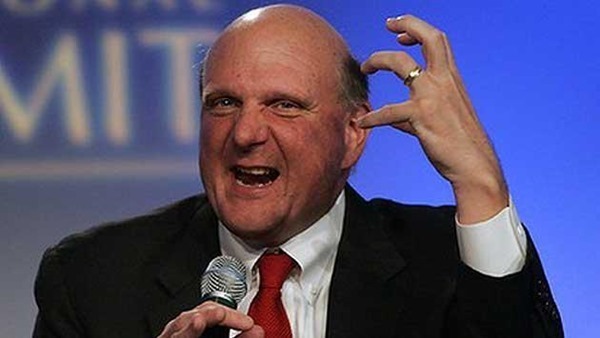 Thus, Steve Ballmer, who was nominated by Spencer Hawes, has further challenged Doc Rivers (LA Clippers coach), Hal Wright and Rick Neuheisel (TV football analyst). With the completion of the Ice Bucket Challenge, Steve Ballmer has joined the league of a number of Silicon Valley executives before him who dared to take the plunge. The list includes the likes of Bill Gates, Mark Zuckerberg, Tim Cook, Phil Schiller and others. The move to do the ice cold dumping as well as donating money just goes to show that the tech executives neither lack sense of humor, nor are they much different from us when it comes to having some fun. I mean, it’s tough to pour ice cold water on yourself, but won’t you do it for charity? Check out the video , which is merely 11 seconds long, and leave your thoughts with us about it in the comments section below! Another stupid catcopy video. SILLY PEOPLE LIKE THAT> Jeez!